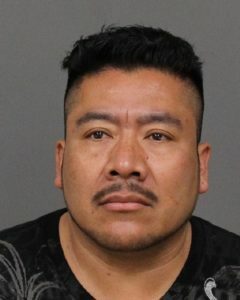 Perez-Medina, 40, pleaded no contest to charges of sexual penetration of a victim under 14 years old, oral copulation with a victim under 14 years and committing a lewd act with a child under 14 years. In all, Perez-Medina pleaded no contest to five counts, but prosecutors dismissed dozens of other charges. According to the criminal complaint, Perez-Medina’s victim was 8 years old when the sexual abuse began in 2013. The molestation continued until this March. Officers arrested Medina later that month. Perez-Medina has since remained in San Luis Obispo County Jail with his bail set at $100,000. Perez-Medina’s sentencing is scheduled for Sept. 6. There are no records showing this guy, Gustaveo Perez-Mendina, as living or working in Paso Robles. I’d like to know his history and where he is really from. It’s not fair that Paso has to take the blame for some of these pedophiles who are really from other places. So who got hurt the worst? This young, defenseless girl or the company that was embezzled?